Spores ripe June-July. Perennial. Native. 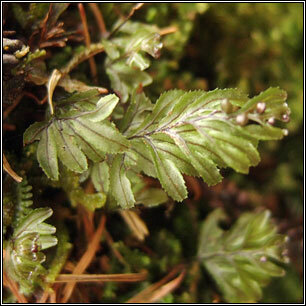 Very small, looking more like a moss or liverwort than a fern. 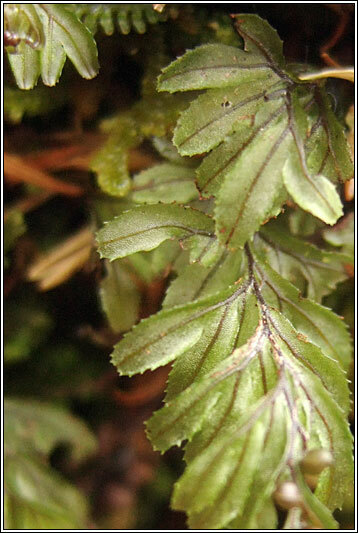 Fronds growing at angle from rock surface, usually 3-10cm (including stalk). 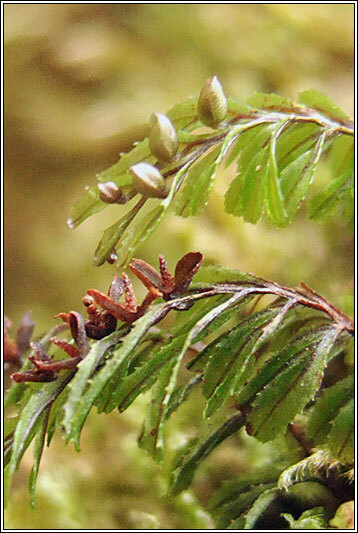 Olive-green, very thin, nearly translucent. Dark veins reaching tips. Segments (pinnae) narrow-oblong, slightly recurved. 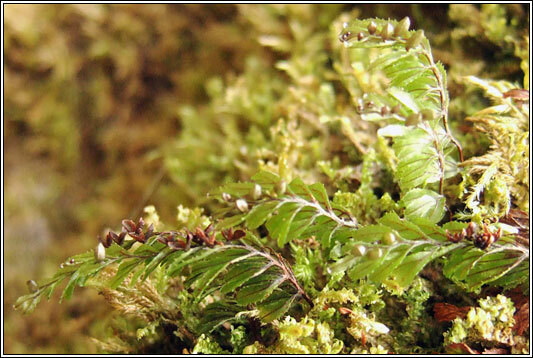 On rocks and trees in moist, humid woods and in sheltered mountain crevices and open rock faces. Mainly found in SW, W, NW Ireland. More frequent than Tunbridge Filmy-fern, H. tunbrigense.